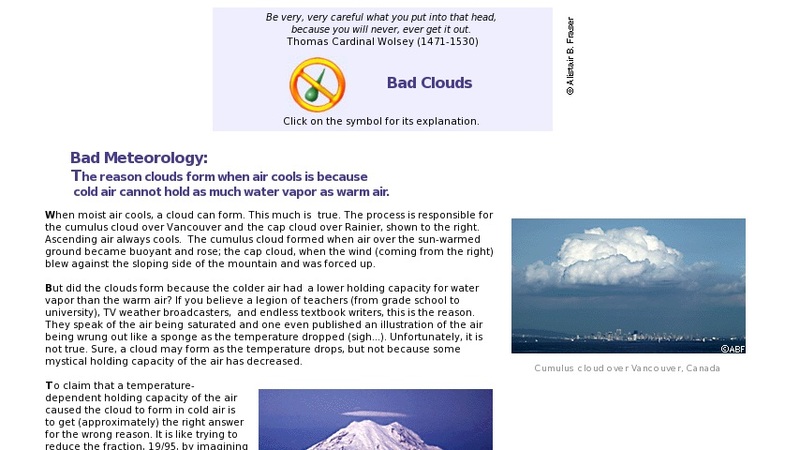 This information is designed to belie the misconception that the capacity of air to hold water vapor is temperature dependent and that air can become saturated with water vapor. The temperature of a cloud droplet or ice crystal will be nearly the same as that of the air, so people imagine that somehow the air was to blame. But, if the other gases of the air were removed, leaving everything else the same, condensation and evaporation would proceed as before and the air was irrelevant to the behavior of the water molecules. It is therefore not correct to assign the behavior of water to an invented holding capacity of the air.